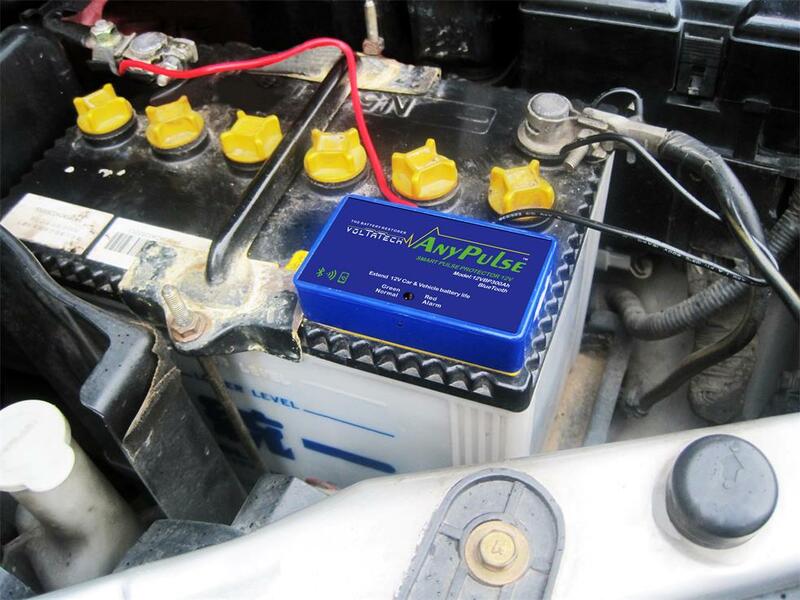 The impact of Cars battery sulphated and capacity decreased too early, is especially important for seasonally used vehicles utilizing 12-volt lead acid batteries such as Cars, Trucks, Motorcycles, AGVs, Lawn and Garden Tractors, Agricultural machinery etc., but all conventional type of lead-acid batteries including VRLA, AGM and GEL cell batteries benefit from the this 12V Car Battery Intelligent Protector and Start Up Battery Regenerator. This kind of Starter Battery Intelligent Protector is specially developed for starter battery, UPS and Solar energy battery, which can prolong the battery usage life by 1~3 times. •When selling the battery, applying this protector on the new battery can achieve the optimal life extension effect. •This protector can be connected with both ends of the battery for a long time, and it can conduct real-time desulphation and protect the battery in 24 hours of the whole day. •This protector also can be directly applied on the old battery which has been used less than half a year, with repair and life extension functions. •This protector can keep the battery staying at the same status as that of the new battery, which can make the vehicle started faster. •Improve the battery capacity and save money and worry for the user. •Reduce battery scrap and environmental pressure. The 12V Car Battery Intelligent Protector in short name of Starter Battery iProtector is a new generation of high-tech environmental protection product. It utilizes battery energy or float power supply to produce smart electronic pulse, to keep the battery always maintain efficient working condition. The 12V Car Battery Intelligent Protector BP-iPro12 and Battery Saver identified herein is covered by a 2-YEAR warranty valid from the date of purchase. This warranty covers defects caused by faulty components or workmanship, including the labour required for repair in our authorized workshops.This warranty does not cover defects caused by incorrect installation, improper use or abuse. The existence of such causes shall be determined by our workshops technical services. Looking for ideal Starter Battery Intelligent Protector Manufacturer & supplier ? We have a wide selection at great prices to help you get creative. All the Starter Battery IProtector are quality guaranteed. We are China Origin Factory of Start Up Battery Regenerator. If you have any question, please feel free to contact us.